I’m back with one of the year’s most popular holiday makeup collections, the Velour Liquid Lipstick Holiday Set from Jeffree Star Cosmetics. For reviews and swatches of the Velour Liquid Lipstick Holiday Set, then read this article. I’m back with one of the year’s most popular holiday makeup collections, the Velour Liquid Lipstick Holiday Set from Jeffree Star Cosmetics. I had this addressed to my house, so I wasn’t able to start right away as I was still away at university taking my finals. This set of seven liquid lipsticks was launched on Black Friday along with two Skin Frost shades. I had watched the official swatch video thinking “You know what, I’m just going to get one shade…” And next thing I knew, I had bought the whole bundle and three Skin Frost shades…WORTH IT. This isn’t my first time buying the Velour Liquid Lipsticks, but I’ve never used nor owned one from the permanent line. All the ones I own are limited edition shades, so I’m not familiar with what Jeffree’s liquid lipstick formula is typically like. But for those that may not be familiar with this brand, the holiday set has a liquid-to-matte, one-swipe full coverage formula that’s not drying on the lips. Before getting into the swatches, I just want to say that I didn’t do dupes for this post. If you want to see a list of dupes for each shade, let me know. The first shade is Chrysanthemum, which is a soft pink that’s infused with a gold mica pigment, but you can’t really see the gold in the swatch. At first, this shade looked streaky when I was applying it, which was my first concern because it’s such a light color. But once it’s completely dry, it’s completely opaque. Out of the seven shades, this was a color I thought I was going to HATE. Pink is just a color that I generally don’t like. However, I thought this color looked so pretty and soft on me, and the gold shimmer makes it stand out from similar lipstick shades. 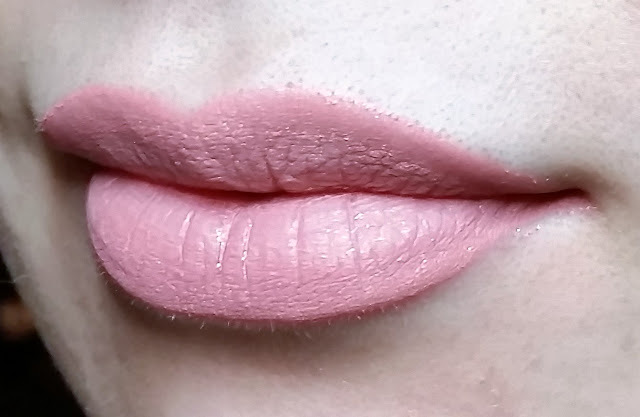 For a lot of people, I can see this as a great everyday lipstick shade because it’s such a soft pink - maybe not work appropriate for some cause of the gold shimmer though. 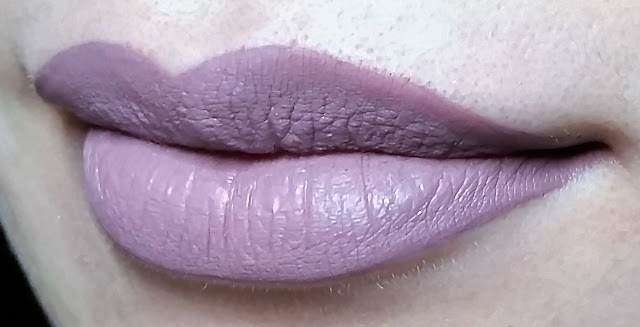 Next shade is Deceased, which is kind of a mauve-taupe shade, but I’m getting greige vibes - correct me if I’m wrong. Out of the set, this is the most popular shade that sold out within a day of it going live. 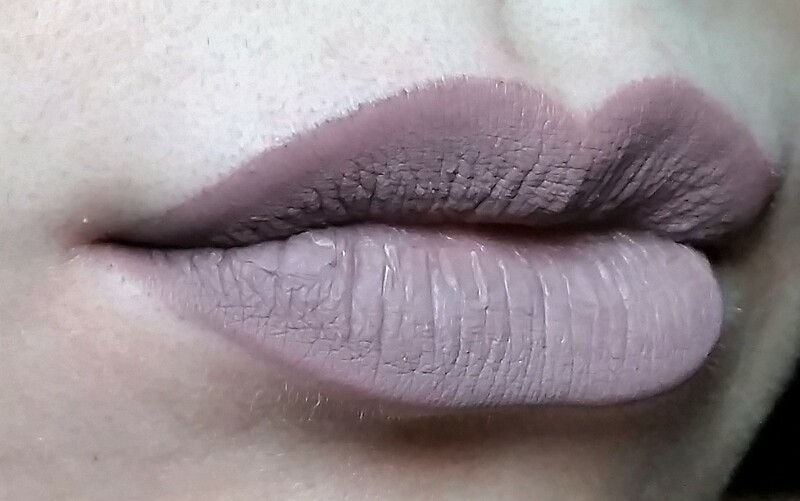 I’m not that into lipsticks of the greige or taupe variety. I think they look kind of weird on warm-toned skin, but that could just be me. Most colors suit me just fine because I’m really pale, so I’ll wear it if I think it suits a certain makeup look. But if you’re into grunge or neutral makeup, then this is the shade for you. The third shade is Sagittarius, which is supposed to be mid to deep tone mauve-purple shade but it looks really light for some reason. After swatching Deceased and then this shade, I can see how different these shades look from each other cause they look similar when you look at them in the tube. I’ve seen the official swatch video, but I’m surprised by how light and wearable Sagittarius looks on my skin. Normally, I don’t like purple makeup, especially when it’s a purple lipstick that’s this LIGHT because I think it does weird things on my skin because of my yellow undertones, but this looks really nice. The next shade is Checkmate, which is a bright, red-orange. It’s like a darker version of Jeffree’s other shade, Anna Nicole. I wasn’t too concerned about getting the others colors, but this was pretty much the only shade that I REALLY wanted. From the swatch video, I was expecting it to be more like a true red, but I’m glad it’s not. 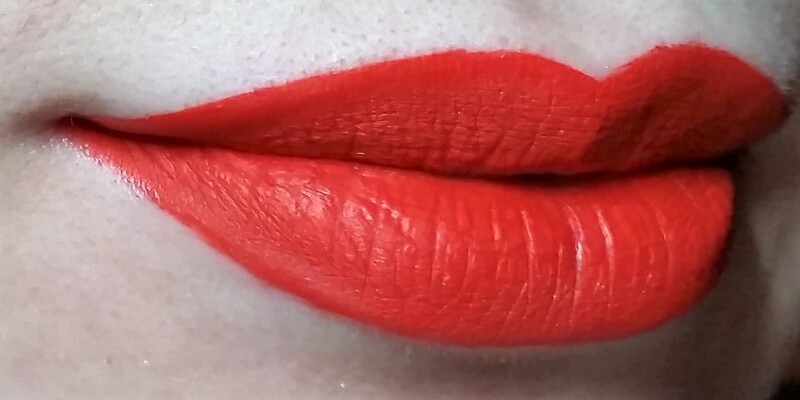 Never been a fan of blue-tone or true reds, but I will rock a warm or red-orange lip any day of the week. I’m a total sucker for those types of shades. If it has any semblance of orange, I want it. Fifth shade is Pumpkin Pie, which is the color of pumpkin pie filling, but with a shimmer reflect that you can’t really see in the swatch picture. After Checkmate, this is my second favorite shade of the set because I like any and all shades of orange. Though this does seem to be coming off as being lighter in the swatch picture than it should. I would consider this to be the most unusual lipstick shade in my collection as I’ve never previously owned one in this shade of orange. Next shade is Designer Blood, which is a really dark shade of red that’s much darker than Jeffree’s other shade, Unicorn Blood, but with a gold sheen. 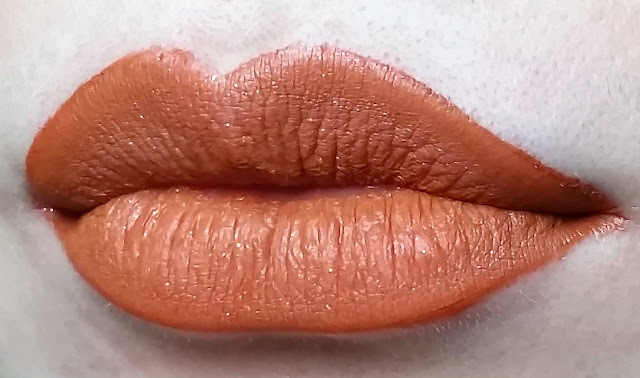 At first, I couldn’t see the sheen, but when the lights hit it, you can see that gold reflect, which you should be able to see in this lip swatch. This is a vampy, red shade that’s great for fall and holiday looks. For the most part, I don’t like deep reds, but I’m loving the gold sheen on this one - it’s something different. And the last shade is Crocodile Tears, which is described as a dark, ivy green. 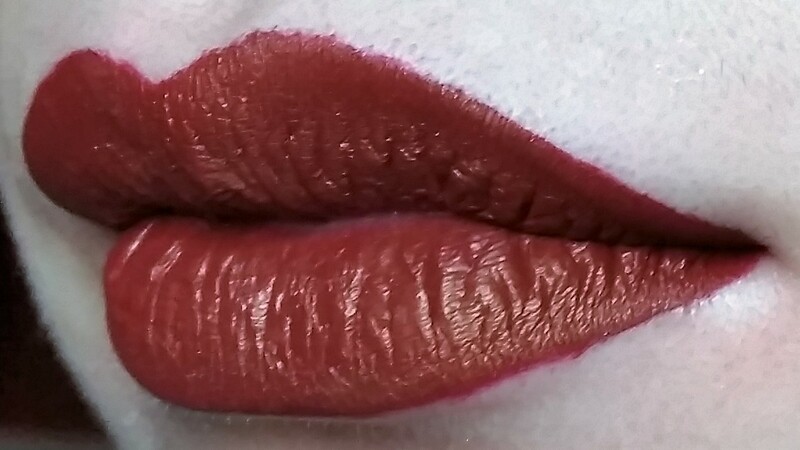 Not going to lie, I didn’t wait for this shade to completely dry before taking the picture, so if the outer regions of my lips look darker, it’s because it wasn’t completely dry. 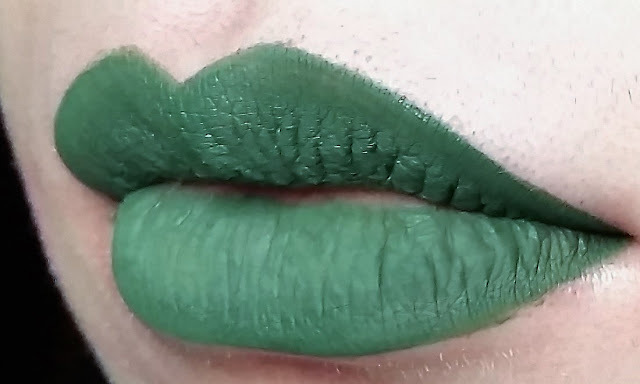 I’m honestly not as crazy about this shade as I am with the others, which is surprising to me cause I love and own quite a few green lipsticks. The formula also doesn’t seem as on par with the other bold and darker shades. During application, if you were to press your lips to help spread product, you would still have that full coverage with the others. However, this formula seemed thinner and required a bit more work to get full opacity, but I don’t know if it could be because of the applicator. 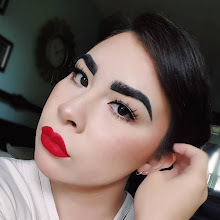 Normally, the doe foot applicators for the Velour Liquid Lipsticks are more fluffy, but the one that I got that came with Crocodile Tears was really hard. Overall, I love most of these shades. I even like some of the colors that I normally wouldn’t wear, but Jeffree really knows how to put a twist on them. 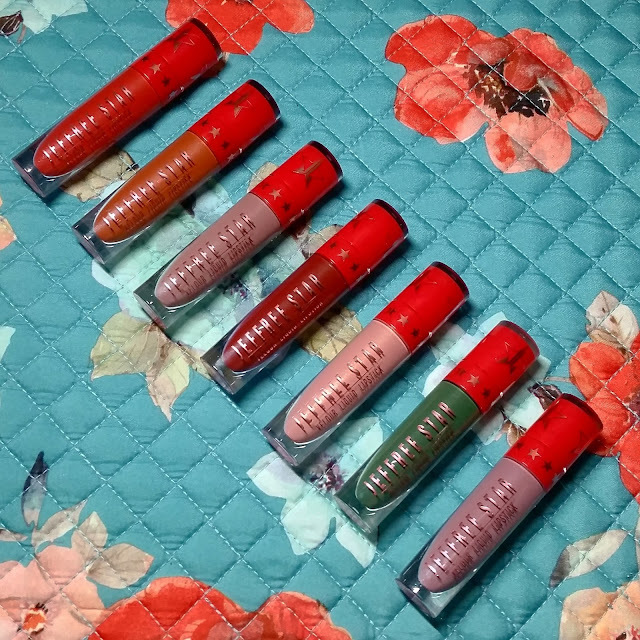 One thing that you need to know though, especially if you're a first-time buyer of this brand, is that you NEED to shake these liquid lipsticks before you apply them. Sometimes if they sit for too long, the product will separate. Shaking will help mix the formula back together for an even application.